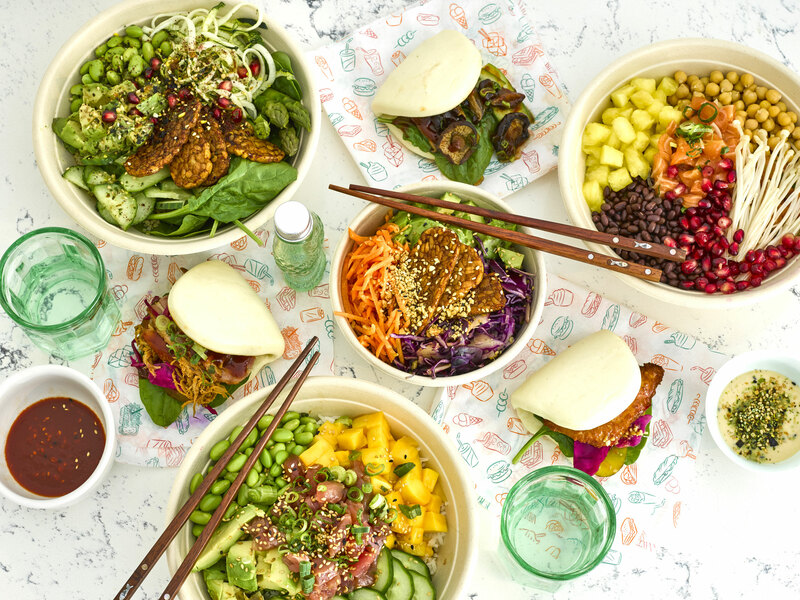 At Bowls & Buns we offer you a range of healthy, flavorful and easy on the go poké salad bowls, bao buns, all day smoothie bowls and more, all freshly made on a daily base! All our poké salad bowls and bao buns are quickly made in front of you, and provide a nourishing healthy meal in just a few minutes. Our signature bowls consist of grains (hot steamed rice/warm quinoa), spinach, raw fish (salmon or tuna) marinated in our home made soy ginger and sesame sauce, tossed with sesame seeds, sweet onions, scallions and several different toppings. 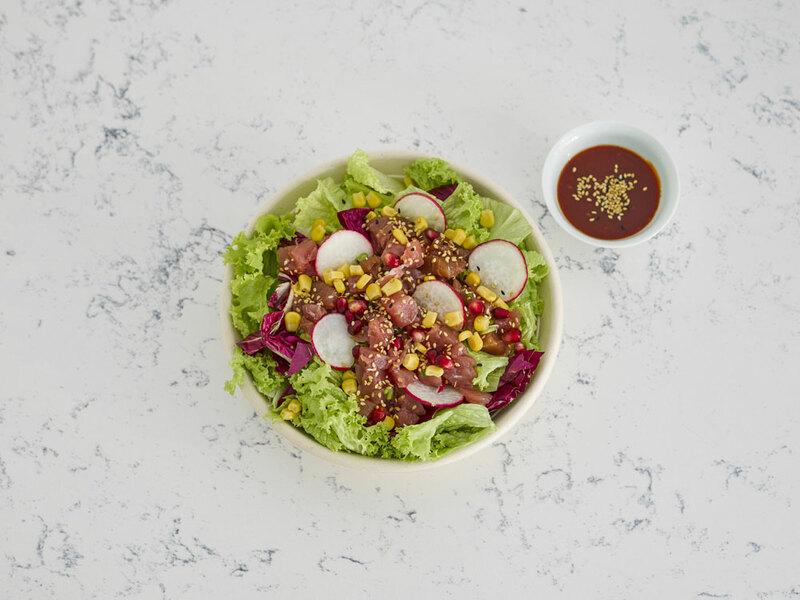 Each bite is a burst of varying flavors and textures, depending on your choice of mix-ins with greens/fruits and toppings – so create your own bowl with the ingredients you love or enjoy one of our signature bowls. Not a huge fan of raw fish, vegetarian or vegan? Don’t worry, we also carry a range of bowls that you can top with black soy tempeh, steamed garlic shrimps, surimi or smoked chicken. 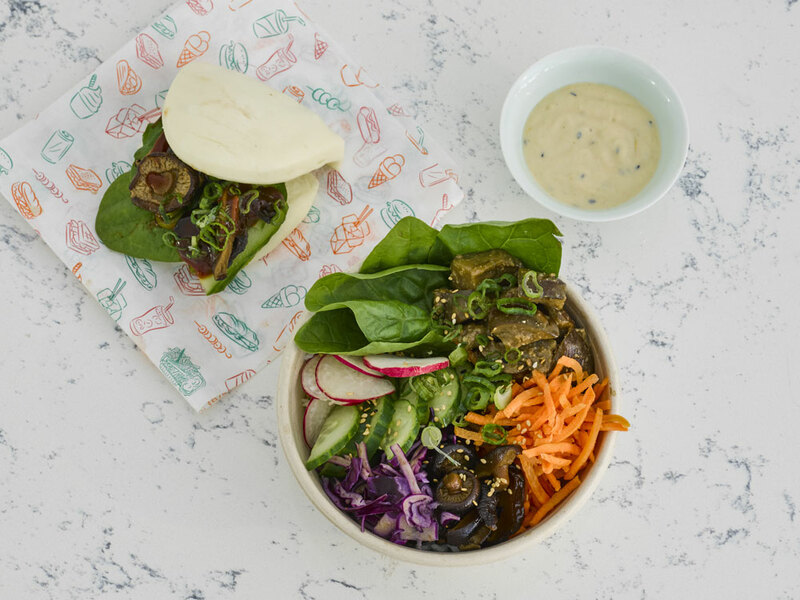 Bao Buns at Bowls & Buns are what we call a guilty pleasure. Complement your bowl with some steamed goodies. These pillow soft cloudy fluffy steamed buns are stuffed to the brim with delicious pulled pork, Shanghai chicken, black soy, tempeh, Peking duck or slow cooked pork belly. Market33 is closed in the weekend.